We have received this email message; we quote part of it here followed by our reply. (... Dear Sir, ... I admire your ideas very much; your arguments are convincing and you provide answers to all my questions ... Yet, this question persists in my mind: You were at one point during your lifetime a 'moderate' Sunnite; Why do not put yourself in their shoes?! In the 1970s when you were a professor at Al-Azhar University, would you have accepted someone accusing you of being an infidel who has forsaken Islam because you believed in some hadiths?! Please answer me! Are you desire to impose your own view that the whole nation/Umma are infidels because they are non-Quranist?! Besides, you are shocking them all the time when you verbally abuse and ridicule caliphs and companions; why do not you stop shocking people so as to win them over to your side instead of making them hostile toward Quranism?! This will make the number of Quranists increase, I'm sure. You are not divinely inspired, I suppose; you might give wrong views sometimes, I presume! .... I am a Quranist Muslim (and I reject all hadiths, narratives, and hijab, niqab, etc. ), but I still tend to think that those whom you call as polytheistic 'Muhammadans' are Muslims as well ...). 1- We have followed at first (until the 1970s) the religion of the forefathers, but this question kept torturing us: we know that the Quran/Islam is great, but why 'Muslims' are in such despicable conditions? The fault is theirs and NOT in the Quran for sure, but how? This question persists inside out mind when we studied at the Azharite preparatory and secondary stages of education, and more when we joined the History Department, Al-Azhar University. This question led us to study and read a lot; our late honored father had a library at home, where we read books of literature, history, and heritage, and we read eagerly books of modern historians of previous eras of the life of 'Muslims', such as Ahmed Amin and Jorje Zaydan. We have been keen to answer the question of why 'Muslims' are so bad and backward: we have chosen at first the topic of our MA thesis about the religious unity in Egypt within the Pharaonic, Coptic, and 'Islamic' eras, but this topic was rejected. Our MA thesis is about the influence of tribalism within the Umayyad Era. Within our PhD thesis, we have insisted to get answers to our questions: we have chosen and insisted on the topic of the influence of Sufism in the Egyptian religious life during the Mameluke Era. At the time, it was rare that a researcher would tackle the religious life of people at any era, since they are deemed as 'Muslims' anyway, despite the existence of heritage books about the so many doctrines during the Middle-Ages. Our Azharite teachers were not convinced that Sufism has any historical or religious influence in Egypt, until we have proved to them the difference between philosophical Sufism and practiced Sufism as a religion within Sufi orders and how the latter influenced all levels and aspects within the life of the Egyptian society for centuries. The thesis was approved and we commenced in a unique intellectual journey to find answers to our persistent questions, while sincerely seeking guidance from Almighty God. This has marked the beginning of our many troubles, or our own Via Dolorosa since 1977 until now. We have gone through many stages until we have discovered Sufism has nothing to do with Islam and it contradicts Islam (i.e., the Quran). At the time, we deemed ourselves as 'moderate' Sunnite, and after obtaining our PhD degree, we have researched the shared points between the Sunnite religion and Sufism, because there is a religion called Sunnite Sufism that has lasted in Egypt for centuries until now, as you know. The research results have shown to us clearly that like Sufism, the Sunnite religion has nothing to do with Islam and it contradicts Islam (i.e., the Quran). We have reconsidered our view of the Arab conquests and realized they embody rejection of the Quran and spread of disbelief. We have discovered that the testimony of Islam in the Quran is (There is no God but Allah), without any further words at all mentioning any mortals within a dual testimony (of the polytheistic Sunnites who add the name of Muhammad!) or a triple one (of the polytheistic Shiites who add names of Muhammad and Ali!). We have reached these basic conclusions when we have used the Quran as the sole criterion, and only source of Islam, to judge whatever we have been taught and what we have read in books of the Muhammadan authors, whereas our foes had nothing but folly and stubbornness as they were ignoramuses in positions of power; within their wars against our person, they used the meanest and vilest of weapons as they could not refute our views. We have refuted and exposed them only by the Quran itself: God's Word to which we adhere and from which we derive our perseverance. 2- When we were a child, our late honored father made us memorize the entirety of the Quranic text, without understanding it, of course. It remained committed to our memory without proper understanding until our foes waged their relentless wars, without morals, against our person. Our foes used to unite in saying to us: (Who are you?! Why you in particular would be in the right and the rest of the Umma/nation, past and present, would be in the wrong?!). Their stances have reminded our person of the pivotal, persistent question: if Islam (the Quran) cannot be wrong, are 'Muslims' to blame for their backwardness? How? Of course, within years of research, we have discovered the greatness of Islam in the Quran; the answer to our questions is as follows: the 'Muslims' (whom we call as the Muhammadans) are weak and backward because they have chosen to abandon the Quran (see 25:30). We have rejected the familiar methods, ways, and terminology of Al-Azhar University as we have pondered the Quran using scientific neutral methodology as people do within any references and sources when they study for PhD thesis. We mean to say here that we have read and pondered on the Quranic text by defining its own terminology without prior ideas in mind to prove/refute. One must research any topic in the Quran at both the local context (verses after and before the Quranic term) and the general context of how this term and its cognates and derivations occur in the entire Quranic text. We have adhered to the Quran to face our foes who posed these questions to us all the time: (Who are you?! Why you in particular would be in the right and the rest of the Umma/nation, past and present, would be in the wrong?!). The Quran has taught us that the vast majority of human beings, past and present, are both misguided and misguiding; they could have misguided Prophet Muhammad if he had obeyed them. The Quran has taught us that all accusations leveled against our person by our foes are repeated by disbelievers/polytheists in all eras who deified and worshipped things, items, creatures, mausoleums, and mortals like all peoples of prophets/messengers, from Noah to Muhammad. 3- Our learning from the Quran, and taking it as the sole criterion in religion, has never been an easy task at first; of course, we have inherited the same lies and falsehoods since our childhood, while assuming we were following real, true Islam. Such falsehoods and lies are so intricate and complicated, with deep roots that grew for 14 centuries, which are being taught for more than 1000 years in Al-Azhar (i.e., since 972 A.D.). It took us a gradual process to make our mind get rid of such falsehoods through deep, relentless research for more than four decades of our life, until now, while we are seeking guidance from God. For sure, our foes played a major role in our studies and researches; their questions, accusations, claims, and notions made us use the Quran as the only criterion to verify every detail meticulously, and this resulted in our books about Naskh, interpretation, penalty for apostasy, the Quran as a sufficient source for religious legislation, etc. Within researching the Quran and history to write each book of ours, we have learned new things from the Quran and this purified our heart from the lies, fabrications, and falsehoods of heritage/traditions books and of the earthly Sunnite religion on which we have been brought up. Our heart has been set at rest by these verses when we declared that Quranism is the True Islam we have been looking for: "And who commits graver injustice than he who fabricates lies and attributes them to God, or calls the Truth a lie when it has come to him? Is there not in Hell a dwelling for the disbelievers? As for those who strive for Us-We will guide them in Our ways. God is with the doers of good." (29:68-69). 4- Hence, we do NOT receive divine revelation; we are only sincere in seeking guidance from the Quran. Our arduous task of researching the Quranic text is a lifelong mission to get to know real, true Islam that God has given us through the Quran, abandoned by the Muhammadans by books of the so-called interpretation, hadiths, fiqh, biographies, narratives, reciting/singing the Quranic verses, etc. Our Quranist researches are done by ourselves: a qualified historian who has delved deep into the details and layers of history of 'Muslims' and Arabs (i.e., the Muhammadans) within the civilizational, intellectual, political, historical, social, doctrinal, and religious levels. We have analyzed and studied 'holy' books of Sunnites and Sufis and methodologies and sets of terminology of 'interpreters' of the Quran, fiqh scholars, and historians. Such comprehensive and meticulous research began when we studied for out PhD thesis about the influence of Sufism on Egypt within the Mameluke Era. Heritage books of traditions were re-written and explained in other books within the Mameluke Era after the Mongols and the Tartars destroyed Baghdad and its library. Hence, such books had to be studied by our person to see to which degree the influence of Sufism is present in them, and we have focused on Sufism itself as a source of influence and how it has been influenced by the Sunnite religion and other aspects at the time. The scope of our thesis has entailed to examine the influence of Sufism within the social, political, religious, cultural, and intellectual levels in Egypt during the Mameluke Era. The resulting research background and information acquired by us in the mid-1970s is what we use to write our books and articles for more than 4 decades until now. Extensive readings are essential for real researchers even when they are about to reach the age of 70 – like the writer of these lines. 5- Within our intellectual jihad/striving, the assumed 'sanctity' of heritage books of traditions have been removed gradually from our mind and heart, as myths have been dispelled and debunked with the passage of time. This was very hard at first and then has been easy, as we get used to seek guidance only from God's Word, adhering only to it and relying on our Lord Allah while being persecuted repeatedly by our foes. We realized how such persecution has been a good sign, showing that we follow the Right Path. Within any scientific studies and all fields of research, views should be refuted or asserted by proofs; our foes had not proofs to refute us but had the power and authority to persecute and incarcerate us and to incite our assassination (unsuccessful attempts) and character assassination. This has proved to us that we follow the Right Path. Our heart has been relieved by the Quranic fact that deeds/words of our foes resemble those of disbelievers of all eras, from Noah's people to Qorayish. This has encouraged us to go on with our quest for the Truth, while waiting eagerly to get killed anytime for God's cause, as this makes one enter into the Barsakh Paradise till the Last Day and will make our thought (i.e., Quranism) lives on and make our life has a meaning; we support God and God will support us, and on the Last Day, we hope we will be among those witnesses who bear testimony against their contemporaries. Thinking about this, of course, made us easily discard any notions or 'tenets' that, based on our research, contradict the Quran. For instance, we never hesitated to declare that Arab conquests (a source of 'pride' for the Muhammadans, even in Egypt) are grave sins violating the Quran committed by disbelievers. Likewise, we never hesitated to declare that as per the Quran, true, monotheists cannot believe in any other discourse(s) beside God's Word. All the time, we expose and debunk myths by showing how they contradict the Quran: hadiths, Naskh (i.e., replacement and omission), interpretation books, the so-called torment of the grave, the dual testimony that includes Muhammad's name, penalty for apostasy (i.e., putting 'apostates' to death), etc. The folly of our foes drove us to research diligently until we get these results; whenever they accused our person of denying 'something', we would undertake an intensive research in history, heritage books, and the Quran to prove how this 'something' is never part of Islam and it contradicts the Quran; we declared this many times about many things without fear and without worrying about bring blamed by others. 6- Within this intellectual struggle since 1977 A.D. (i.e., 4 decades until now), many holy cows vanished from the scene in Egypt and even inside Al-Azhar; for example, Sufism was deemed 'holy' inside Al-Azhar University and was protected and defended by the late head of Al-Azhar, sheikh Dr. Abdel-Haleem Mahmoud, who was deriving much power and authority from Sufism. We, at the time an assistant professor, faced and defeated Dr. Mahmoud and Sufism inside and outside Al-Azhar. Wahabi Sunnites felt so happy by our victory as they hated Sufism so much; at the time, we considered ourselves as a 'moderate' Sunnite. Soon enough, confrontations occurred between our person and Wahabis as we have criticized the Sunnite religion in the same manner, proving through our research how the so-called hadiths and Sunna (of Al-Bokhary and other authors) contradict Islam and have nothing to do with it. what applies to the Sufi and the Sunnite religions apply to the Shiite one of course. we were alone in 1977, but with the passage to time, supporters gathered around me in mid-1980s, as many myths were being dispelled. The Sunnite religion has been attacked harshly inside Egypt at the time inside and outside Al-Azhar. When we were interrogated in an inquisition-like manner inside Al-Azhar University, we used to hear our foes yelling at us that they approve of our attacking and refuting Sufism but never of our denying Sunna, hadiths, Al-Bokhary book, 'intercession' & 'infallibility' of Muhammad, that he was (or is, as if he were live!) the best of all messengers/prophets, etc. Our reply to them has remained the same; we told them that it took them 10 years to get convinced that Sufism has nothing to do with Islam, and they need another 10 years to get convinced that the Sunnite religion also has nothing to do with Islam and to approve of our views. In fact, ten years later in the 1990s, when we were still in Egypt, we came to know that many colleagues, foes, enemies, friends, etc. inside Al-Azhar University agreed with us but they refuse to announce this in public for many reasons, including being too proud to say they followed views of Dr. A. S. Mansour or too afraid to be incarcerated and persecuted like him! reaching the religious Truth might be difficult; what is more difficult is to adhere to the religious Truth within an era dominated by political tyranny and the tyranny of clergymen. 7- Outside Al-Azhar, we wrote articles in several newspapers and magazines while attending and holding many conferences and forums inside and outside Egypt, all the time exposing and refuting the Sunnite religion. This made the name of Quranists grow in face; many other reformist thinkers (via internet) followed our footsteps, after we were the thinker to receive the first blows and pave the way for others. 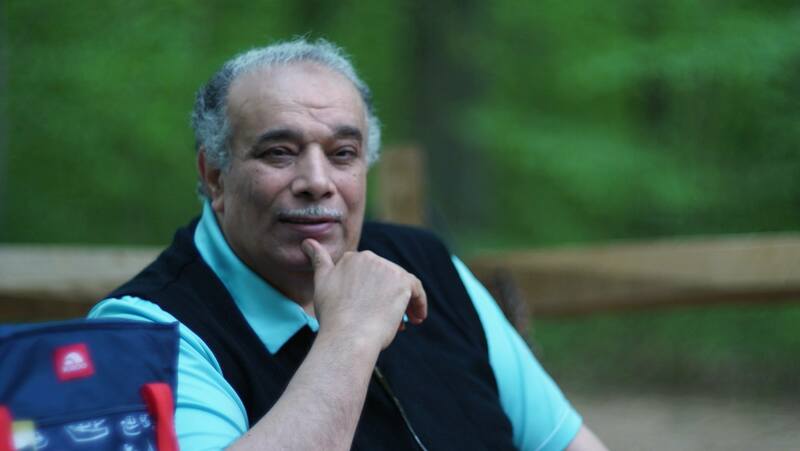 there are many groups of Quranists now; some of them (like the late Egyptian thinker Mr. Gamal Al-Banna) criticized Al-Bokhary and fiqh while never declaring outspokenly that they deny the Sunnite religion. Some of them are imposters who are not fir to be researchers and ponder the Quran in very wrong ways that lead them to commit grave errors and support their own preconceived ideas by decontextualized Quranic verses, while declaring their erroneous views via internet to get famous and shock others to get their attention. Our trend of Quranism is different: we have a certain, clear methodology and constitution (found in English on this link: http://www.ahl-alquran.com/English/show_article.php?main_id=15303). Unlike other 'Quranists', we face and expose in our writings the political tyranny and the tyranny of clergymen in the Arab world as well as the era of superficial culture resulting from corrupt education that produced ignoramuses who carry university degrees or even PhD degrees. 8- Despite the verbal abuse, character assassination, and persecution inflicted on our person by our foes, we never feel hatred toward the because we never took it personally; rather, they defend their religion (non-peacefully) and we defend ours (peacefully and intellectually). God will judge us and them on the Last Day. There is another reason for our never hating them then and now; since we think we are in the right concerning Islam and they are in the wrong, they deserve our pity because they will reside in Hell for eternity if they die without repentance: their sins include denying the Quran, following falsehoods, and committing injustices. 9- Within God's religion (i.e., Islam/Quranism) and the earthly man-made religions, it is OK to declare others as infidels. Yet, the great difference is that within Islam, this is done to preach and warn people out of love, hoping they will guide themselves to real monotheism. The Quran, real Islam, declares certain deeds/acts/words/notions as pertaining to disbelief to guide people and urge them to repent before they die. This is pretty much the same Quranic way/method adopted by us in our writings and in our videos within our YouTube channel. Eventually, one's (short or long) lifetime ends in death inevitably; in fact, each human being is heading toward the grave with the speed of 60 min. per hour. Every minute that passes within one's lifetime can never be retrieved or come back. Our duration of time on Earth, as human beings, is life a train going one way without stopping at all; when one is born, one gets into that train, and one gets out of it when one dies. No one can postpone or hasten the timing of one's death. Instead of wasting one's lifetime in idleness, playfulness, and amassing of possessions and wealth, begetting more children, etc., one must focus on working hard to earn a place in Paradise in the Hereafter if one really believes in the Last Day and in God as the Only Owner and Judge of the Day of Resurrection, the Day when no soul will avail another soul anything; and the decision on that Day is God's; glorified be His Holy Name.